G build are expert builders in Sheffield providing competitive, professional building services in Sheffield and building services in Chesterfield. We are specialist extension builders in Chesterfield for residential and commercial buildings and homes covering Sheffield, Chesterfield, South Yorkshire. Looking for professional, competitive builders in Chesterfield near Sheffield? G Build are Specialists for building extensions for kitchens and full house extensions. Commercial building extensions for factories and retail buildings. G build are expert roofers in Sheffield providing competitive professional roofing services in Sheffield and roofing services in Chesterfield. 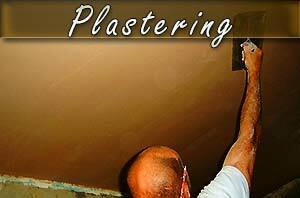 Looking for plasterers in Chesterfield or plasterers in Sheffield? Our plastering and rendering is second to none. All our plasterers and renderers are polite, professional and punctual. 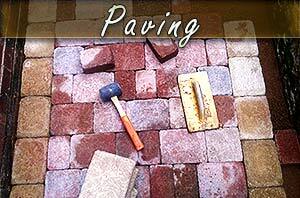 Our Sheffield block pavers have all been with us many years and are experts at block paving. 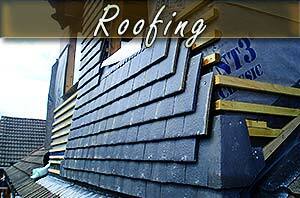 They can work with any materials and always work to a first class finish. 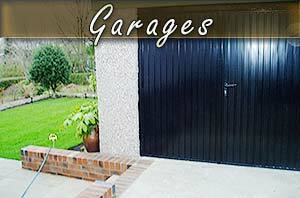 We build new brick garages and stone garages in Sheffield and Chesterfield, South Yorkshire and Derbyshire. Custom built to your drawings, blueprints or let us maximise your available garage space. Whether you need a builder in Sheffield to carry out some general building work, install a new kitchen unit or plan and develop a new property extension, the team at G Build have both the skill and the experience to complete all types of residential and commercial building work efficiently and comprehensively from the outset. "With over 25 year experience our Sheffield building company will always meet your needs." As experienced builders, we have undertaken a variety of building work such as kitchen and bathroom installations, loft conversions, property refurbishments and general building services amongst many others, managing projects ourselves from start to finish to bring you the most complete in house service available. We always work within strict health and safety regulations in order to remain safe and create building projects that are not only aesthetically pleasing but also structurally sound. Our consistently high levels of workmanship and re-referrals are a direct result of our professional builders who care about build quality and client satisfaction. Now covering Chesterfield and the surrounding areas so for builders in Sheffield, building extensions Sheffield and Chesterfield call G Build on: 01246 419111. Builders in Sheffield providing building extensions, plastering, rendering and block paving covering local areas: Dore, Greenhill, Woodseats, Totley, Abbeydale, Fulwood, Ranmoore, Crookes, Beauchief, Dronfield and Heeley. Builders Sheffield, home extensions sheffield, Patios Sheffield, building extensions Sheffield, house extensions Chesterfield, G Build, BUILDERS SHEFFIELD.